The first annual meeting (M12) of the SPECTRAL project was held in Oleggio (Italy) on January 16. 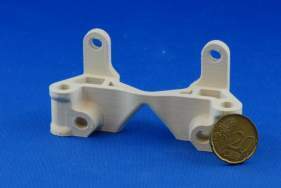 The consortium of the SPECTRAL project, funded under the framework of the Clean Sky 2 initiative (contract 737845), has successfully printed its first pieces using PEEK, PEKK and carbon fiber PEEK composite filaments. The consortium is led by RESCOLL (materials development), and includes 3NTR (printer development), and AIRBUS (Topic Manager). SPECTRAL project will develop, implement and test a FFF 3D printer dedicated to high performance materials in accordance with the specifications provided by the Topic Manager. The printer will be validated for the production of aerospace components according to the technical specifications of the project. 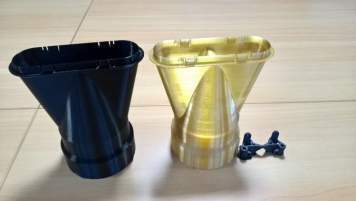 The printer will be validated with several different demonstrators, each representing different challenges related to high-performance thermoplastic printing, and corresponding to real life industrial parts. The pieces will be evaluated in terms of quality and performance in order to assess and optimize the process in order to overcome to the different complexities of FFF printing of PEEK and PEKK. The consortium is on-track to bring to the market a new printer technology with the associated materials during 2018 – a date which seems closer than ever!